Copy of mail sent out to Wine Circle members. We have rejected this as totally inadequate and which will go no where in solving the very urgent need for parking spaces for shoppers and visitors to the village. And for the long term survival of businesses in Virginia Water. Businesses that have played a major part in creating a special and in many ways a unique Village for residents and visitors. 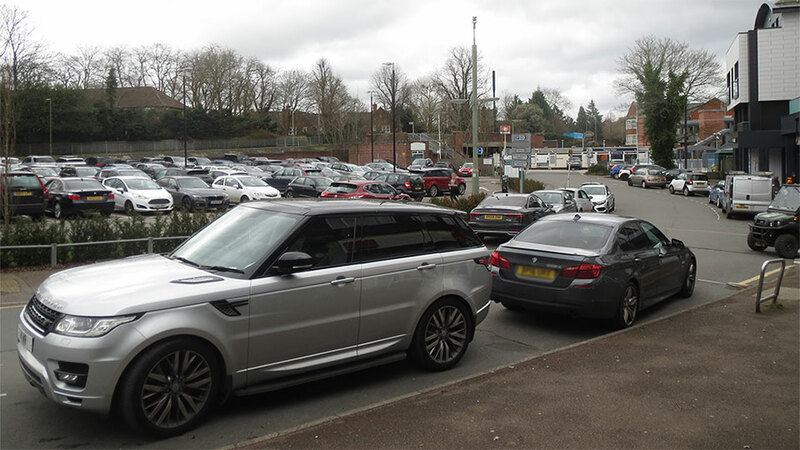 The Council has been given enough evidence over the last 6 months to show that there is an urgent need for more short term parking spaces from various parts of the community. Marissa Heath, the Deputy Leader of the Council argues that there are empty spaces available and the decision taken by the Council in July 2017 of a 50- 50 split in the Memorial car park is not neccessary. This from the Deputy Leader of the Council ! Carol Manduca a ward councillor has supported us throughout this and has suffered at the hands of the Council as a result of her efforts. Sadly she will not be standing for re election in May this year. Whilst other ward councillors and those standing for election in May tell me they continue to support the need for short term parking they have done nothing towards helping us thus far. Whilst they argue we must tread carefully and in a gentle manner with the Council it is only because of the determined and unbending approach taken by residents and businesses that we have got the Council to even listen. How many years do these people who represent us and who look to represent us expect us to wait. We now expect them to step up and make themselves heard and make a concerted effort in supporting us in our efforts to rectify some of what has been undone. In my latest communique with Mr Turrell I have asked for more joined up thinking and to address the following. How did the Council come up with 10 spaces? How did the Council come up with long term season ticket parking rates compared with short term parking rates. Why is there not the same amount of control by parking attendants in Station Approach as there is in Station Parade and the Memorial car park. Why has the Council reneged on the decision taken in July 2017 . A decision on which businesses planned their business model and future. How do you expect businesses to pay the very high business rates in the village when visitors to the Village are so restricted in gaining access. Will the council stop the further issue / renewal of season tickets and only allocate those to the British Legion facility. Did the Council take into account the increased demand for parking spaces once the developments were occupied. Bear in mind new developments attract visitors.